Prophecy began in 1991 in Shreveport, LA. James Parks II (guitars/vocals/drums) met a couple of other musicians and started jamming together, then decided to form a band. James chose PROPHECY as the name. A logo concept was decided and then drawn by Mike Wilson who was also the other guitarist of PROPHECY at that time. After playing in the Shreveport area for over 3 years, the 4 members decided to part ways. About 6 months passed before James met Joe "Boogie" Dunlap (guitar) and they decided to move to the D/FW, Texas area to reform PROPHECY as BRUTAL DEATH METAL in 1995. 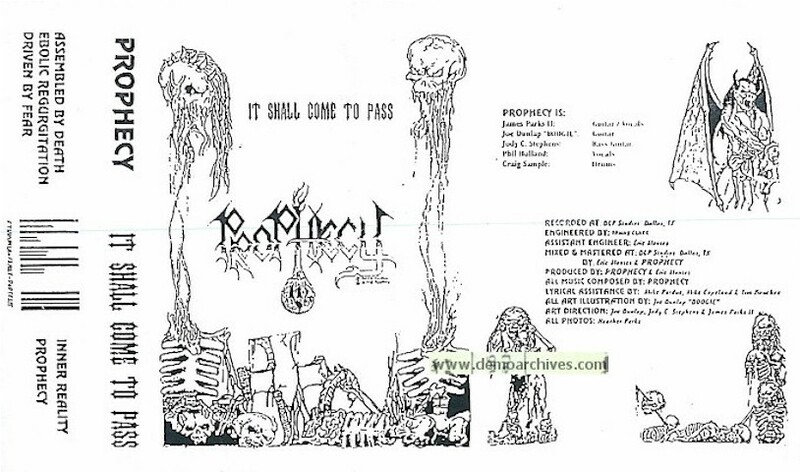 PROPHECY began writing new material for their debut 5-song EP "It Shall Come to Pass", (released by Prophecy Records on cassette in March 1996). 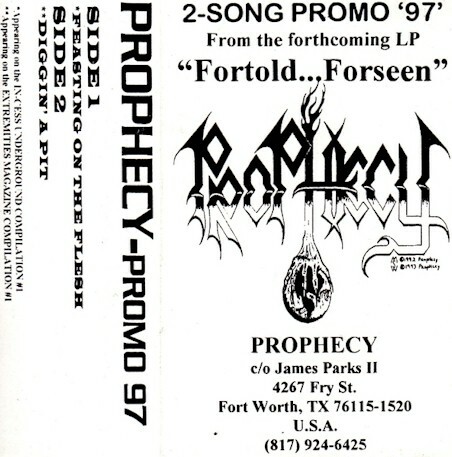 In March of 1997 a 2-song promo was released by Prophecy Records on cassette for promotion of their debut full-length CD, "Foretold...Foreseen", which was released by Prophecy Records in October 1998. Xeroxed covers. Regular tapes. Lyrics/Art on back. 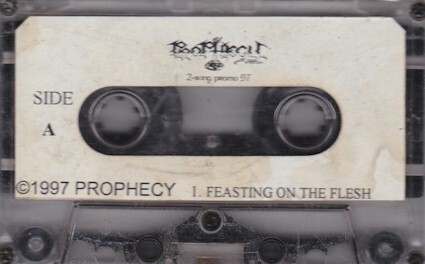 It was a 2-song promo cassette released on PROPHECY RECORDS, March 1997.